Citrus cleaners are so effective and versatile for cleaning so many different surfaces. I chose to use orange peels for this recipe. (But I also have made this with Lemon and it’s awesome!) This would equal out to be the equivalent of your standard orange cleaner, for a fraction of the cost. + no nasty chemicals are involved so it’s safe for the whole family. 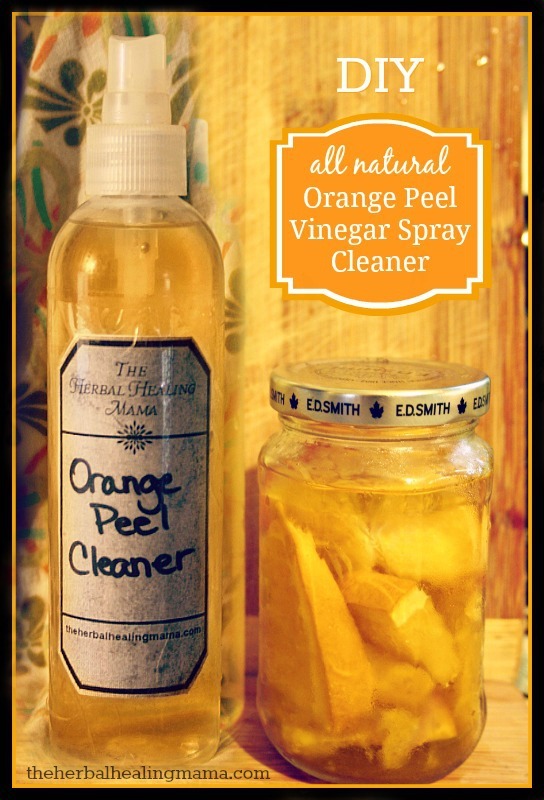 This is a great all purpose cleaner, the oils from the orange peels have disinfectant properties which helps to kill off bacteria around the home. It is very effective for stains and odors in carpets and laundry as well as everyday dirt and grime and doubles as a natural degreaser. Seal the jar and allow to stand in a cool dark place for 2 or so weeks. (I kept this batch in the fridge) You can also shake the jar everyday to get more out of the peels. The vinegar will start to colour orange. If the scent isn’t strong enough for you, (or you can still smell too much vinegar) you can add in a few drops of essential oil. I made a pretty big list of uses in the last cleaner’s profile, (Which you can check out here) so I don’t want to double up BUT this is an all around all purpose cleaner. 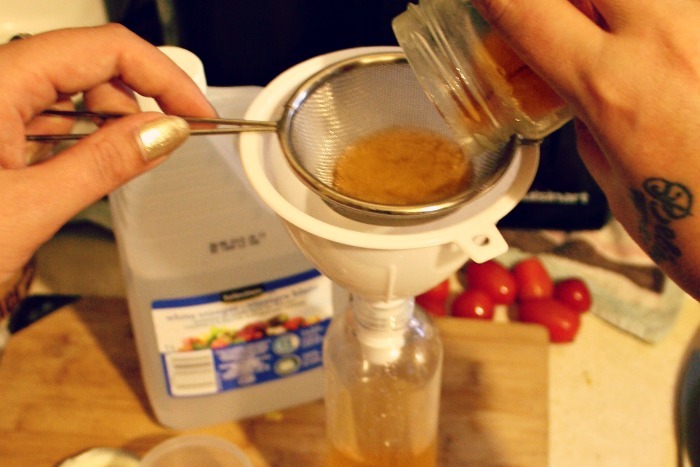 What are your favorite all natural cleaners to make? I recommend Mountain Rose Herbs for all of your herbal healing needs! Harmonious Mind is a great Canadian supplier of essential oils.